Joei is an easy-going active child who loves playing games and interacting with people. However, coming from a small family, he is limited in finding a gaming partner and hence spent time virtually on electronic and TV games instead. To address this, we signed him up with FWCC for more engaging and peer activities. Joei had not been seriously exposed to track & field in his early years; he had no clue on what he was up for. Hence we had no initial expectations of him when he first started participating in sports. 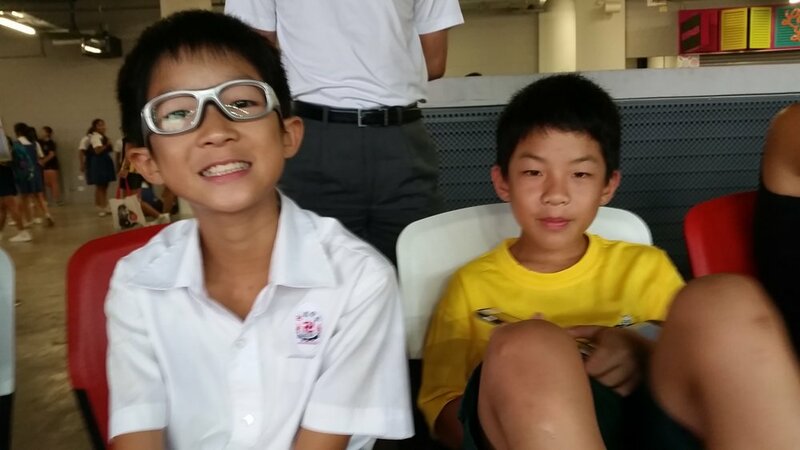 He initially tried his hand at triathlon, but at Primary 4, Coach Shawn recommended that Joei try the hurdles event. In April of 2015, Joei finished 4th for the 60m hurdles at the National Primary School Track and Field Competition. In August the same year, Joei broke his right arm after he fell while hurdling during training. He recovered the following year in time for the Nationals. Needless to say, he was very apprehensive hurdling again after the mishap. However, after a couple of training sessions with Coach Shawn, he regained his confidence. 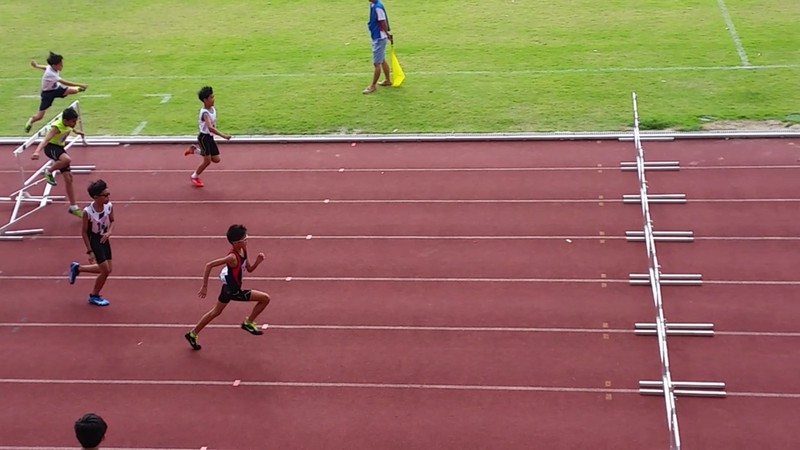 He went on to finish 4th again (for 80m hurdles this time) in the Primary 5 age group at Nationals. In his own words, clearing the hurdles that year was especially symbolic for him, both in terms of clearing physical and mental hurdles, after coming back from an injury. By the time he reached Primary 6, schoolwork and supplementary classes at school took up the bulk of his time. He had very little time to train leading up to the National Schools Competition. Hurdling is unlike sprints or long runs where there are frequent races. The one and only race that Joei took part in was was the Sports School Invitation in March where he finished 6th in the hurdles event. That was a humbling experience for him. In the one month he had before Nationals, Joei diligently worked on his technique and speed. It was at the National Primary Schools Championships in April 2017, Joei finally came in 1st in the 100m hurdles for the Primary 6 age group. 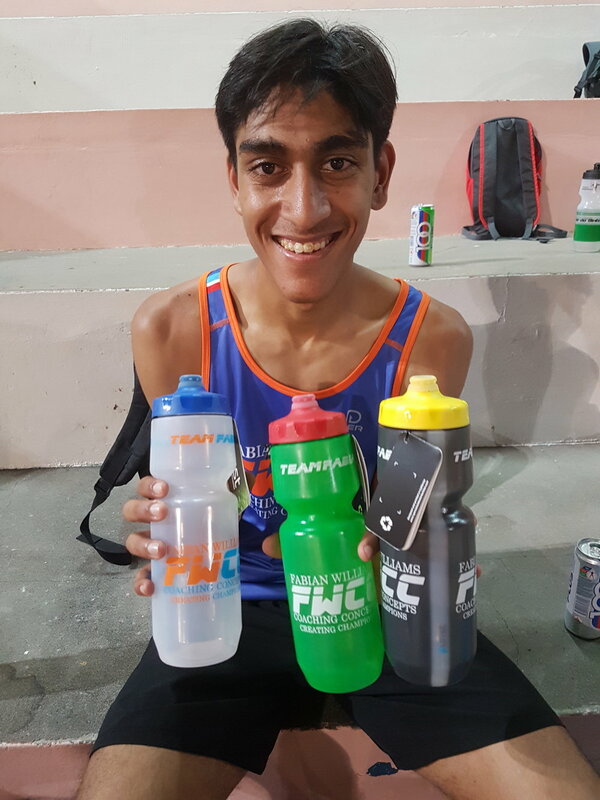 As a parent, I have witnessed how much Joei has developed as a sportsperson in the last 4 years with FWCC. With the achievements, he has become more disciplined and serious about athletics training now. He used to go for training because he looks forward to the companionship and social activities like soccer games after training. Now, he exhibits a strong sense of confidence and commitment to what he wants to pursue. This is a vital life-skill inculcated through training. I admire his resilience in bouncing back from injury. The camaraderie and friendships forged at FWCC have been invaluable. While most athletes are very motivated and goal-driven, Joei is a process-driven child. He literally enjoys “smelling the roses” along the way. He takes his time to 'digest' things in his brain before executing them. It helps that Coach Shawn appreciates and understands Joei’s idiosyncracies thoroughly. He has been instrumental in Joei achieving success in his hurdles event. Before the race, Joei did not put any pressure on himself - it also helped that Coach Shawn did not mention anything about winning. He encouraged Joei to focus on the fixed number of steps in between hurdles, and to just enjoy the smooth pace. Being an easily-contented child, Joei was apprehensive in setting goals. He had never finished as a champion before that race. However, after winning his first ever gold medal, he has a newfound confidence, a renewed self-esteem. He is beginning to believe in himself, that he could achieve more if he sets his mind to it. We are grateful to Coach Shawn and Coach Fabian for believing in Joei. We are thankful for their guidance all these years. Our hope for Joei in the coming years is for him to continue to enjoy athletics, build up his self belief & self confidence and pursue his interests 'Smoothly'. It was with a mixture of excitement and trepidation that I walked on to the NUS running track on Wednesday, June 21st. I was returning to that track, where I had spent hours training for much of my life, for the first time in close to two years. I was looking forward to meet my friends and teammates after a long time, but the night before, over dinner, Coach Fabian, had informed me that I would be coming up with and leading the workout. He wanted a sample of the training sessions that I had done during my stay in the United States. I spent the hours before training mulling over possible workouts, and was anxious to do a good job leading it. Warming up with the team was a great way to catch up and learn how they were doing, and the drills (low-hops, power-skips, quick-feet and more) reminded me of all that I had forgotten. I was pleased to know that I was quick to relearn them – perhaps a result of the years of being subject to repeating them. When it came time to do the workout I was ready. The set I decided upon was a speed-workout that I had done while training for the 800m race – a good mix of sprinting and endurance. We were to do two sets of 250 x 4 with 3 minutes of rest between each 250, and eight minutes between the two sets. The younger kids would only do 200m and a reduced number. It was tough, tiring, work that was extremely gratifying. Running once again with this group was both familiar, and strange because everybody (including me) had improved over time. But, the workout was difficult and after the first few repetitions it began to show. The walks back to the 250 m mark were slower, and the pack, which started off with everybody trying to come out in front, started to string out. Everybody was grateful for the eight-minute break in between. Eventually, we finished the workout, and I particularly relished the final sprint showdown between Timothy and me. And the 2017 National Schools season ended with a bang. Dora walked away with yet another gold medal, bringing her current haul to 13. To date she has set 6 records (championship records and age group records), of which 4 still remain. The TeamFabian walking squad. From left to right: Shantel, Rachel, Joelle, Dora, Shaun, Zhu Yu, Malcolm. Having walked into the world of race walking barely 4 years ago, Dora has gone from being a face in the crowd to a poster girl of race walking. Many opportunities have come her way, such as working with mental skills coach Bay Hansen, who has helped her sharpen her mind to up her ante in her game. From having to compete with school mates, she got to rub shoulders with Olympic medalist Dane Bird Smith and other world class race walkers in Queensland, Australia. From training with local coaches Tanabal and Peter Back, to going under the tutelage of renowned Olympic coach Dave Smith. People have started noticing her and she has gotten the opportunity to feature in a local documentary (scheduled to air toward the end of the year). Quite a fair bit for a young girl who is still relatively new to the sport of race walking. Despite all the trials and tribulations of her life, she has carried herself with such ardour and demeanor that is truly becoming of a sportswoman. Not only has Dora developed as an athlete, but she has also managed to inspire many more to walk the walk like herself. First were her team mates from school, Shantel, Marc, and Michael. Shantel was initially jumping around events. It was until she joined walking that she found something she was good at. 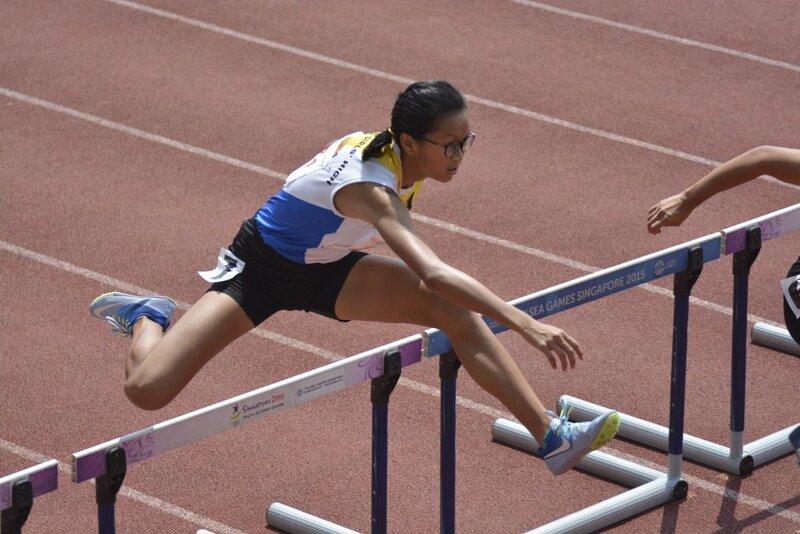 While initially always in Dora’s shadow, the turning point came when she finished in top 8 in the 2015 National Schools Meet. From there, she dedicated herself more to training, and the fruits came one year later where she joined Dora to cast shadows on their competitors – Shantel came in 2nd behind Dora that year. The success continued as Shantel secured 2nd spot again this year despite having taken a break for school. Marc (Meng Hong) was always the gung-ho guy who dived into every race at a suicidal pace reminiscent of the great Steve Prefontaine. He so badly wanted to win that he pushed his limits as often as he could. Regardless of whether it was a run or walk event, his streak continued. 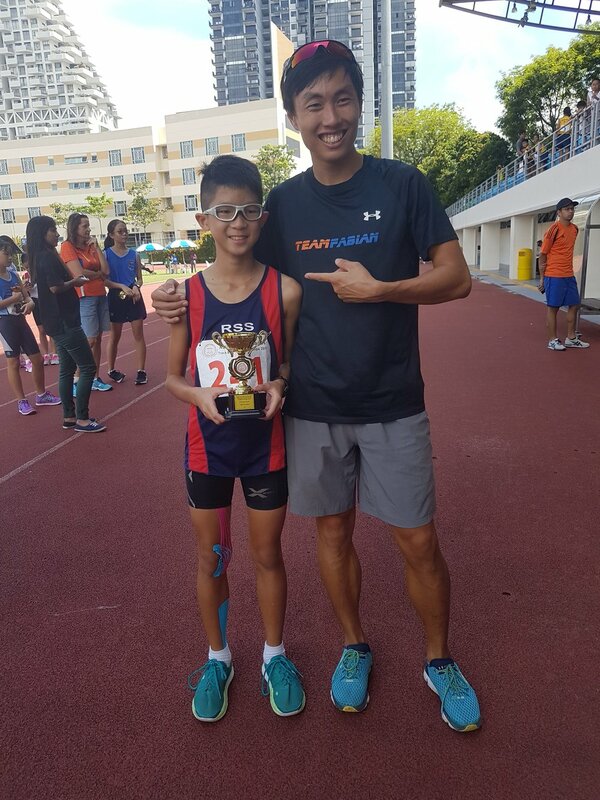 Eventually he managed to control his reckless repertoire and walked himself a silver medal at the 2016 national schools 1500m race walk finals amid a strong field of competitors. The nature of sport is that not all stories and lessons come from winning. 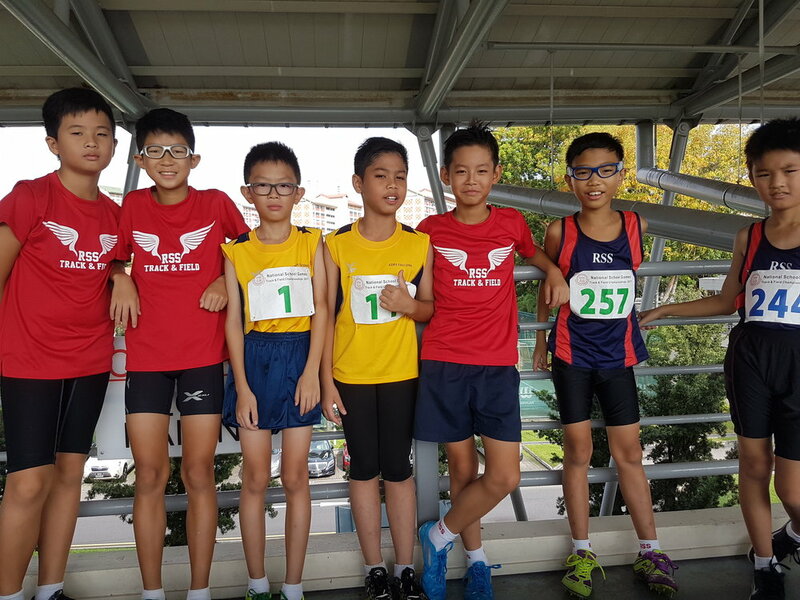 Michael (Ming Hui) was a finding his feet as a cross country runner, but struggled against the powerhouse schools. He finally found his calling in race walking, joining his team mates. Always willing to put in the hard work required, Michael walked brilliantly alongside Marc in 2016. However, despite coming in 3rd behind Marc, the judges had ruled him to have committed a foul worthy of a disqualification, losing his medal opportunity. The next victim of Dora’s magnetic appeal was none other than Rachel. 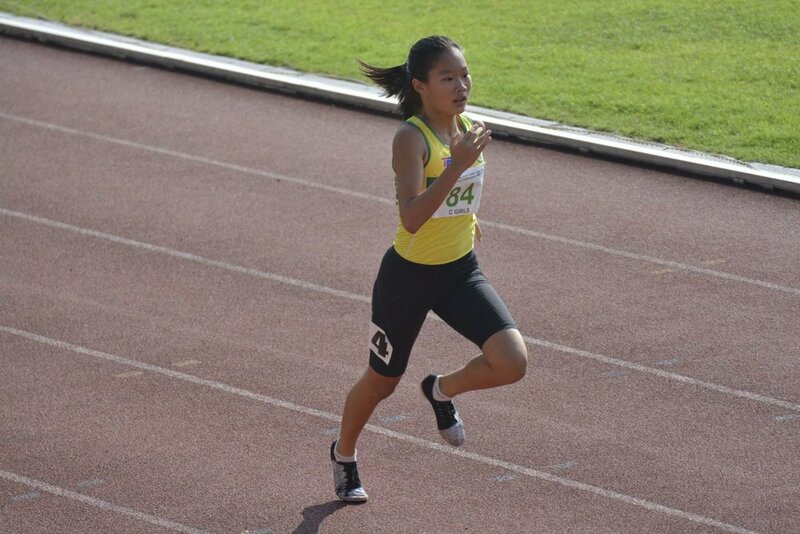 Rachel, an aspiring sprinter and triathlete with TeamFabian, had taken part in multifarious events as part of her developmental exposure. She had showed great tenacity in everything she tried, and did well in the local triathlon circuit, ending up on the podium ever so often. However, success on the track simply kept eluding her and she was determined to find her place on it. 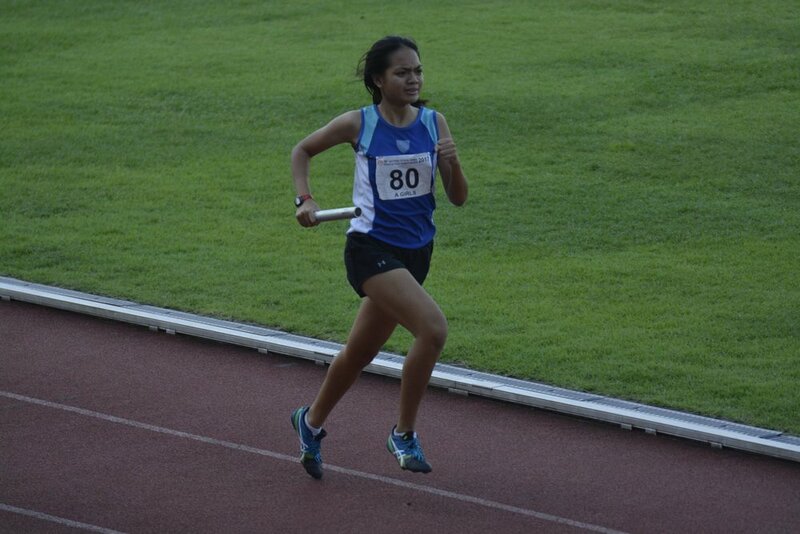 One fine day she was put alongside Dora and introduced to race walking. She astounded us with her fluid movements that were iconic of racewalkers - that swift pelvic drop and drive propelled her with ease as she trailed Dora closer that anyone else in the workout that ensued. After convincing her parents and getting their blessings, Rachel walked into the arena of race walking. She went on to set the 2017 National Schools ‘C’ Division 1500m race walk record in a time of 8:10:44 mins. Natalie (left) and Kimberly with their supporting dad. Subsequently came sisters Natalie and Kimberly. Both sisters were in FWCC’s developmental programme and frequently witnessed Dora blitzing her speed training segments. With the support of their dad, both Natalie and Kimberly gave race walking a go and decided to take it seriously. Taking part in the kids' categories in the local circuit, they showed their potential by beating their competition. With such dedication, it’s just a matter of time before you see two new stars emerge. Joelle was a unique addition to the squad. One day at training, she was spotted as a lone figure on the track. Barely 5 minutes after having spotted her both Dora and I glanced at each other with our eyes gleaming, knowing that we had just spotted another potential race walker. She approached Joelle to introduce herself and invited her to train together. Joelle pointed us out to her mum on the stands, who after a quick chat with, gave Joelle her approval. Just like that, we had another race walking genius on the squad. Despite taking a short hiatus from TeamFABIAN training due to time constraints, she found time to join back early this year and has managed to walk her way to a new age group record this year. 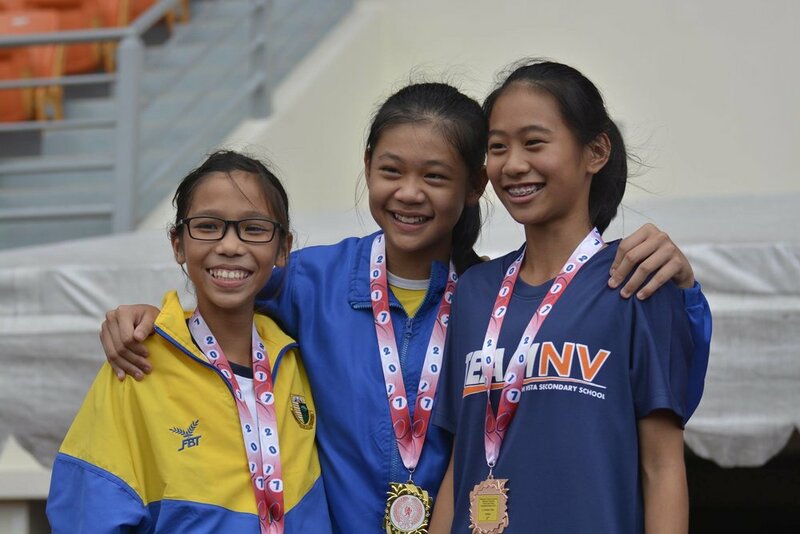 She walked with Rachel (with whom she’s school mates) and took home the silver in the 1500m race walk event at the Nationals Schools Meet in 8:12:03 mins. Coach Fabian, Shaun, and his dad. Shaun Teo was always training under FWCC since his primary school days. Being of a slightly smaller stature compared to his peers he always missed out on making the team or the finals. But this kid had something many didn’t - he possessed true grit and determination. He kept exploring all the various disciplines that the coaches threw at him until the day we saw his dad race walking past us. Mr Teo was a very stoic and solitary individual who never once pressured Shaun into following his ways, but he was there every step of the way to be that all important pillar of support. Needless to say, the apple doesn’t fall far from the tree. Barely 6 months after being introduced to the art of race walking, Shaun claimed his own against the big boys in competition. While he has a lot more to learn in comparison to his competitors, he is one to look out for. His seemingly docile and calm disposition doesn’t do justice to his tenacity when the gun goes off. He has literally fought his way to have his own podium space, something he truly deserves. Unfortunately, in this year’s National Meet, he was judged to have committed a foul and was disqualified despite coming in 2nd. Malcolm joined from the SJI sprints squad. Malcolm and Zhu Yu during training. Malcolm was a silent warrior, always in the shadows. 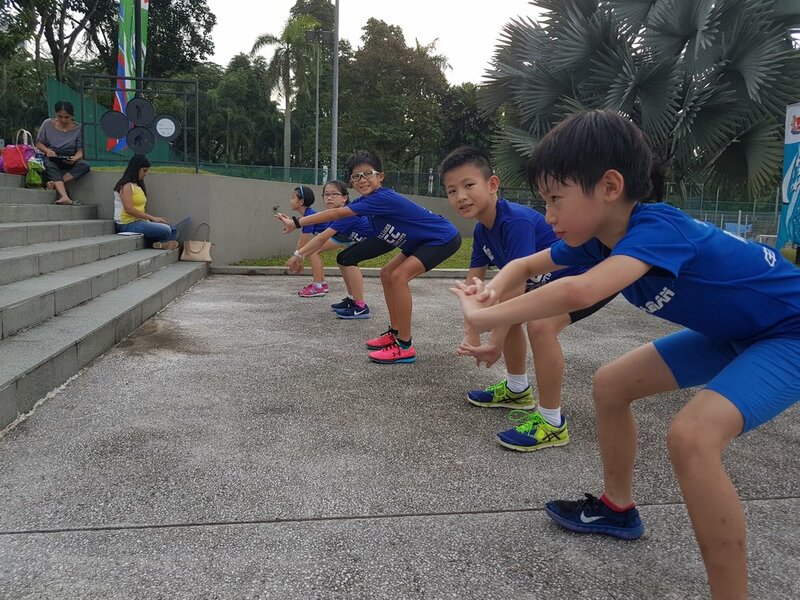 Initially part of the SJI sprints team, Malcolm made the decision to transfer over to race walking after years of not making the cut for the sprinters. 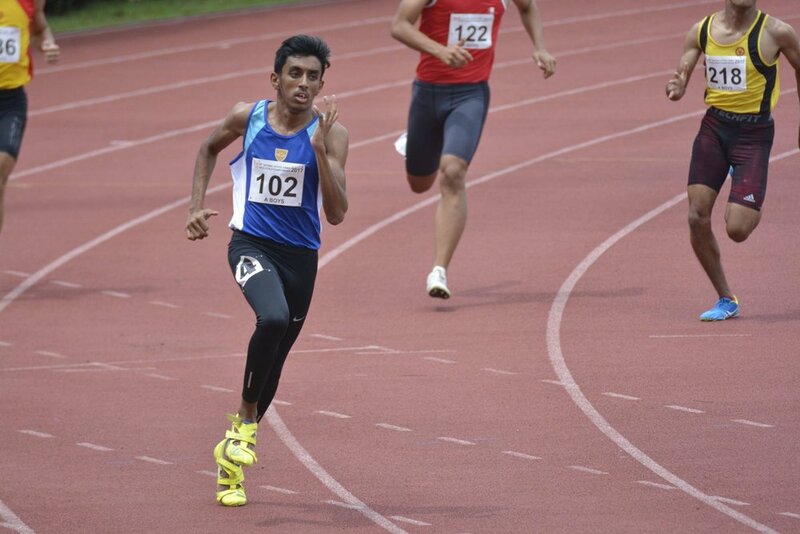 While not technically sound at first, he slowly picked up the sport and has represented SJI in the 1500m race walk event. His dedication to honing this craft is astounding, and his antics garnered the support of all his friends. The SJI boys gave the loudest cheers for Malcolm during his event. He finished 15th with a respectable timing of 8:37.51 mins. Zhu Yu with Coach Fabian after her Nationals walk. Zhu Yu was our last addition to the squad this year. Hailing from the CJC Sprint Squad, this rather dismayed young lady felt she was always in the shadows of her peers and was open to exploring race walking. 4 months later, she donned the CJC colours and was at the starting line of the 3000m ‘A’ Division race walk at the National Schools meet. She clocked a personal best of 23:19.35 for that meet. Dora has painstakingly walked every step of the way with her squad and helms the team with pride, ensuring they are groomed in the best manner possible. She assists the coaches by looking after them during trainings and is the undisputed authority figure who mothers them but is also the one to discipline them. She ensures that true sportsmanship prevails and character development above all else is adhered to. She, more than anyone else, knows very well that medals don’t matter - it’s the process that defines you. It is something that I constantly preach to her, but she personally experienced while training with world class athletes during her stint in Australia. Since then life has taken a turn as we walk down this chosen path. Some may come while others may go, but the strong few remain and take one step at a time toward their common goals. Rest assured we will never walk alone. The highly anticipated 58th National School Track & Field Championships 2017 recently came to a close. 55 athletes from Catholic Junior College and St. Joseph’s Institution, as well as 17 TeamFabian athletes set forth to represent their schools in the various events. We had a total of 44 finalists, with 19 of them attaining a podium position, and 12 winning gold for their school. We are delighted with the achievements they produced! Throughout these 13 days, we saw countless heartbreaks and successes; there were performances that fell short of expectations as well as those which fulfilled them. Despite the various outcomes, do not discredit their efforts during the competition - they had sacrificed months, even years to train for this annual event. It was also heart-warming to see friendships forged in the process, showing that competition is not just about winning. Everyone showed great camaraderie and brewed a strong sense of sportsmanship and healthy competition. With proper etiquette and respect, they will go far in all aspects of life, not just sports. Moving on from this experience, we hope our athletes continue to train hard and give their best in whatever they do. May your journey in Track & Field be a fruitful and rewarding one. Once again, congratulations to our athletes for your tremendous effort, and much appreciation to all parents and teachers for your unwavering support!